MONTREAL – Montreal Canadiens general manager Marc Bergevin announced on Tuesday that the team has claimed forward Paul Byron off waivers from the Calgary Flames and that forward Jacob De La Rose has been assigned to the AHL’s St. John’s IceCaps. 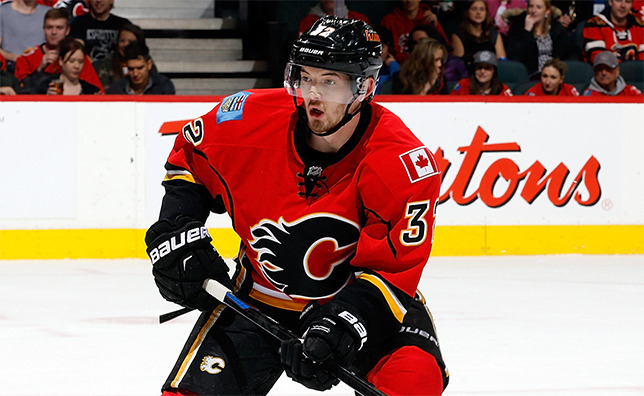 Byron, 26, played 57 games with the Flames in 2014-15, recording 19 points (6 goals, 13 assists). One of his goals came on the powerplay. The 5'07’’ and 153 lbs centre served eight penalty minutes, while averaging 14:42 of ice time per game. Since making his professional debut with the Buffalo Sabres in 2010-11, Byron has played 138 regular season games, contributing 48 points (17 goals, 31 assists). He has scored three goals on the powerplay, one while shorthanded and totals two winning tallies. He has served 41 penalty minutes and displays a +5 differential. A native of Ottawa, Byron was selected in the sixth round, 179th overall by the Sabres at the 2007 NHL Entry Draft. The forward appeared in two preseason games with Calgary, serving four penalty minutes. De La Rose, 20, suited up for 33 games with the Canadiens in 2014-15, totaling six points (4 goals, 2 assists), including his first career NHL goal on February 26 in Columbus. He added four penalty minutes in 12 playoff contests.